Newfoundland and Labrador will face more financial volatility in oil and market prices, an economist from a top Canadian bank warned Thursday. Newfoundland and Labrador can count on a rough ride for many more months to come because of uncertainty over oil prices, TD Bank economist David Tulk told a St. John's business audience Thursday. "Brace yourself for more financial volatility," Tulk told delegates to a St. John's Board of Trade conference during a keynote address that looked at how the recent collapse in oil prices will affect Newfoundland and Labrador, where the economy has become reliant on the offshore oil industry. Tulk, TD's chief Canada macro strategist, said "nobody knows" how low oil will go amid a slide that has rocked the global oil industry. That said, he said Newfoundland and Labrador should count on oil prices to be far lower than they have been in recent years, even after markets finally stabilize. He said he expects to see oil stabilize at US $55 a barrel this year, and for the average price in 2016 to be US $72. 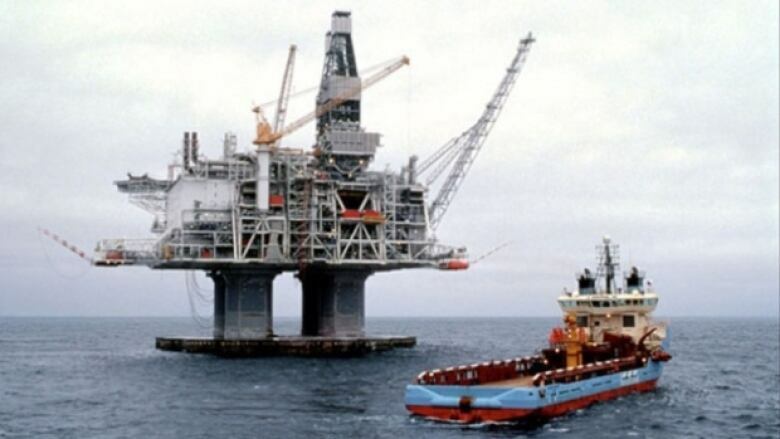 This winter, the Newfoundland and Labrador government based its budget on Brent crude trading at US $105. In December, Finance Minister Ross Wiseman said the government expected oil to trade for US $63 for the rest of the year. In addition to shrinking oil prices, Tulk said gross domestic product in the province will fall by 1.6 per cent this year — making it the second-worst performance among the provinces, behind Alberta. The Bank of Canada made a surprise move on Wednesday by cutting its key lending rate by a quarter of a point, from 1.0 per cent to 0.75 per cent. Bank of Canada governor Stephen Poloz blamed plunging oil prices for prompting the move. Tulk added that unless oil prices improve, the Bank of Canada may take another look at cutting rates.